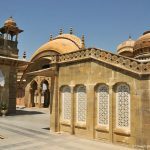 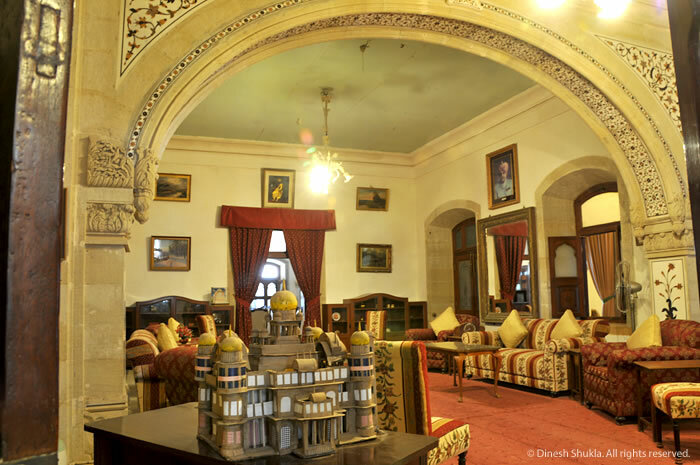 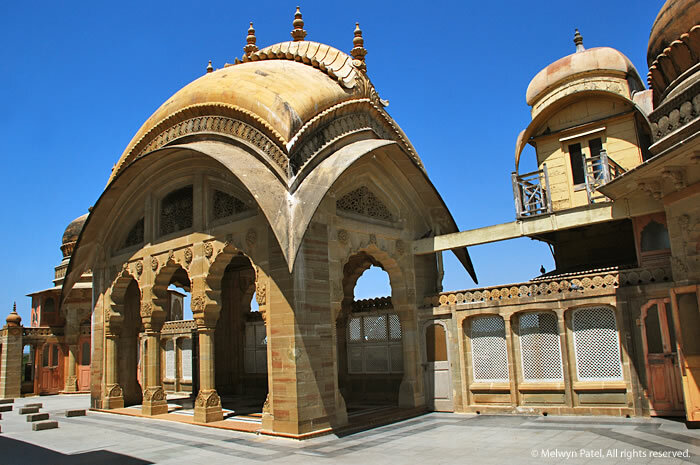 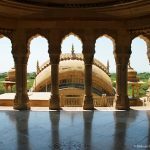 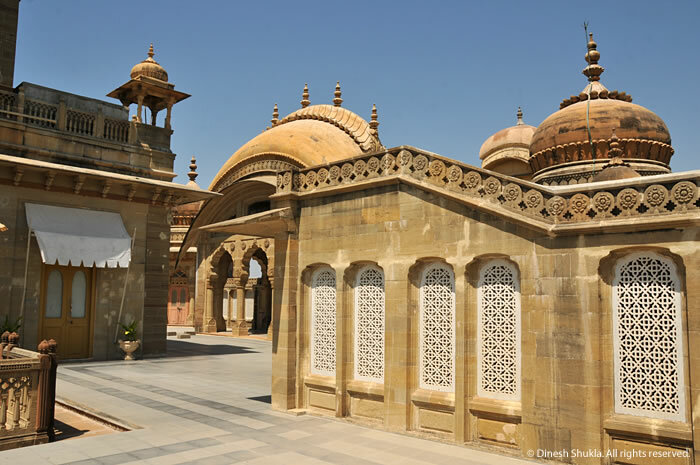 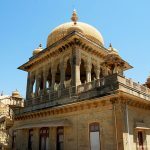 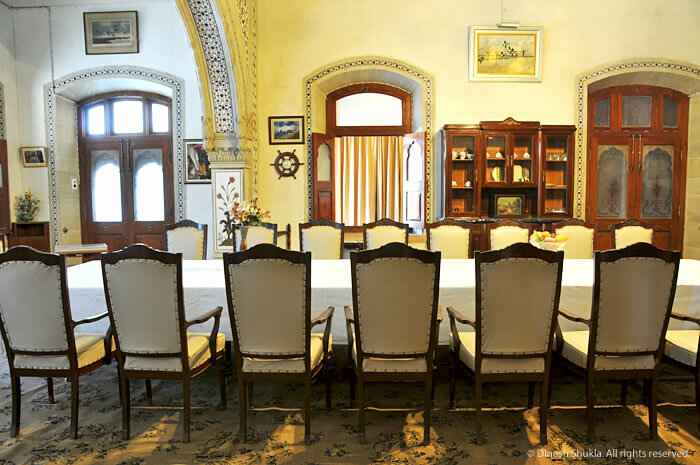 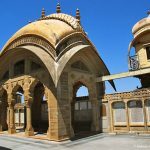 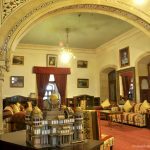 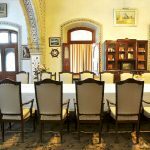 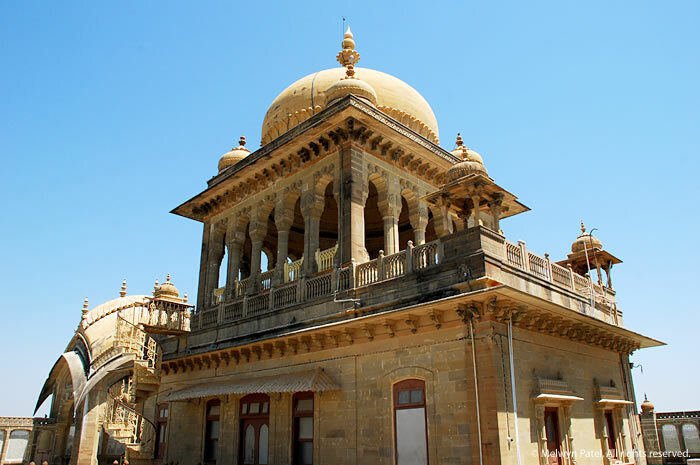 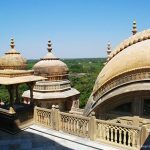 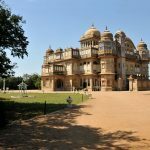 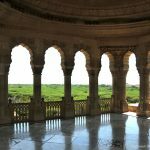 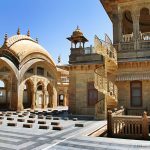 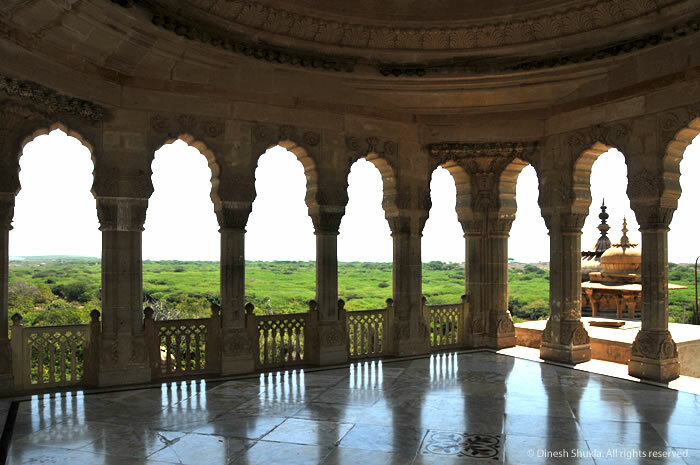 Visitors can see the interiors including offices where the Maharaos worked from dawn to afternoon, the rooms for entertaining, the old living quarters. 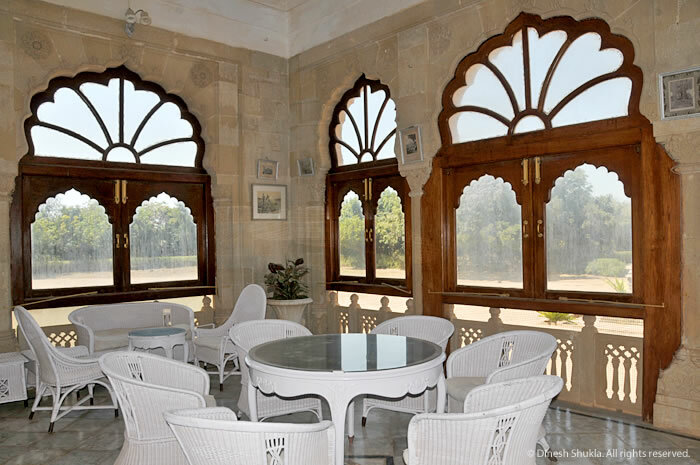 The domed terrace has a view over the estate to the sea. 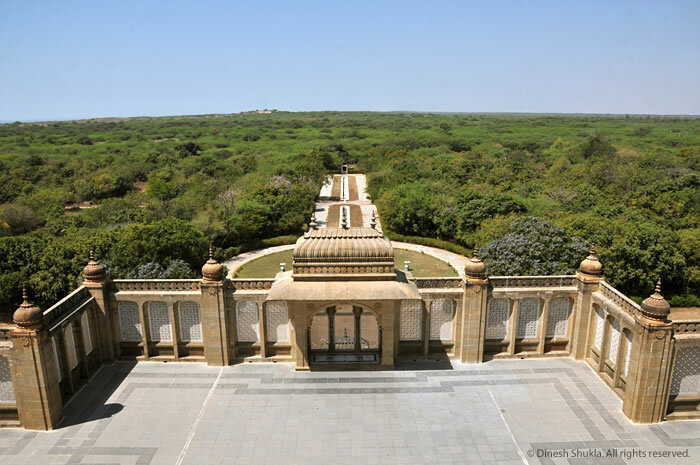 The palace is nestled in 450 acres of lush greenery, with 2 kilometers of private beach. 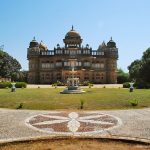 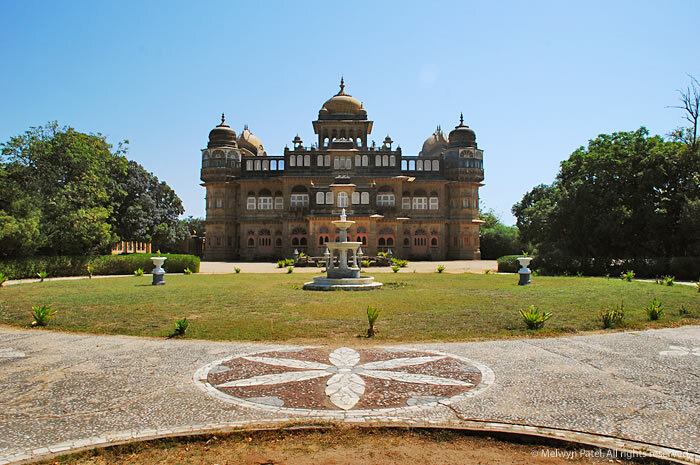 The Vijay Vilas Palace has its own private sanctuary maintained in an eco-friendly manner to preserve its pristine beauty. 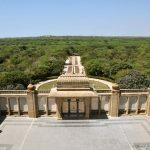 In this sanctuary one can see blue bulls, jackals and an occasional chinkara. 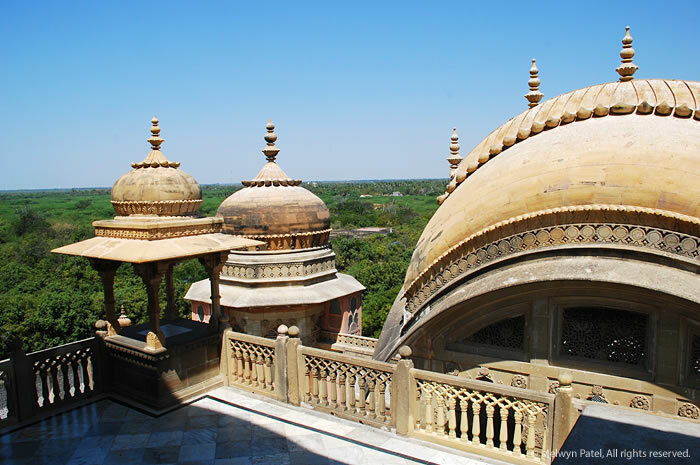 One can also see peacocks frolicking in the palace grounds as well as partridges and other birds of the forest. 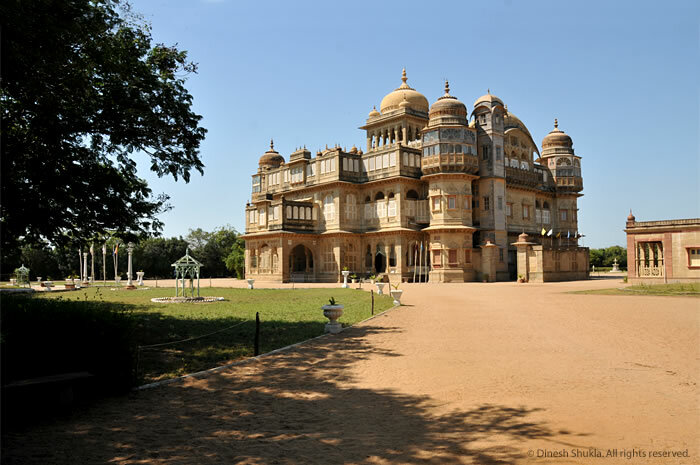 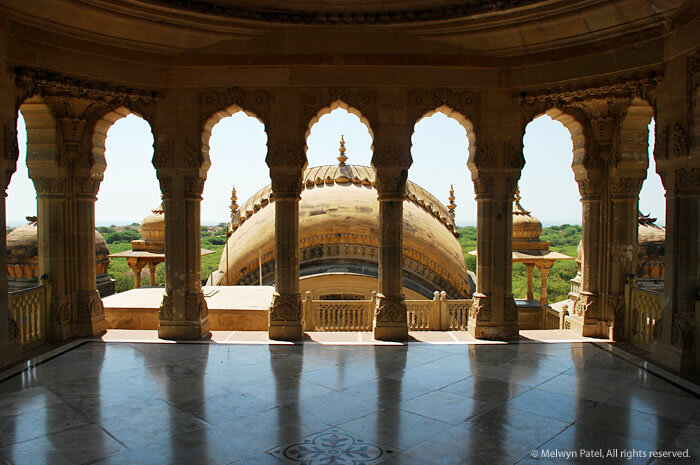 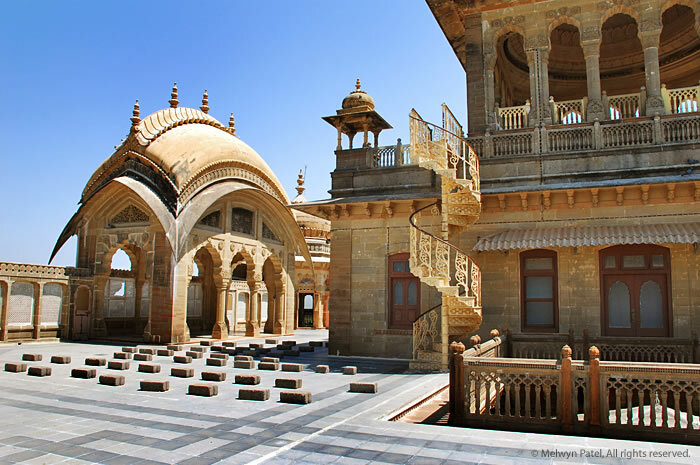 This palace has been used as the setting in many Hindi films and has now become a popular tourist destination.